I think Jack is developing a sweet tooth, thanks to dog ice cream by NESTLÉ® USA. He goes nuts every time I approach the refrigerator, anticipating his next snack will be a cup of Frosty Paws. Have you ever heard of these decadent dog treats? Now, I know many of you make it a priority to keep Fido on a healthy diet, and I’m all for it. But hey, a dog needs to have a little “out of this world” tasty treat now and then. Giving your dog a treat is not only yummy, it is good for mental and emotional stimulation as well! Dog ice cream is perfect for occasions like dog birthdays or holidays when you want to give Fido something extra special! Frosty Paws is made with yogurt, rather than cream, so it is easy for dogs and puppies to digest. With moderation, this product is the perfect treat for dogs. Seriously, take a few minutes to think of the euphoria and pleasure ice cream brings you as a human. Who doesn’t love ice cream? Now imagine if you could bring that sort of bliss to Fido? Clearly from this post you can tell I scream for ice cream. Guilty. My freezer is always stocked with Ben & Jerry’s rocky road or strawberry Häagen-Dazs. Jack is more of a peanut butter guy himself and Frosty Paws comes in two delicious flavors: original vanilla and peanut butter. I think if Jack could slurp the ice cream straight out the container he would. He just loves this stuff! 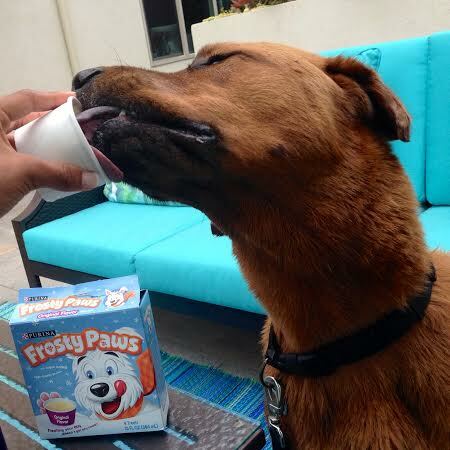 I encourage you to let your dogs have a taste of Frosty Paws! It is available in Wal-Mart stores but in case you don’t have one near you, click here for use the product store locater. Now, if only I could find some dog root beer… then Jack would really have a party in his mouth! 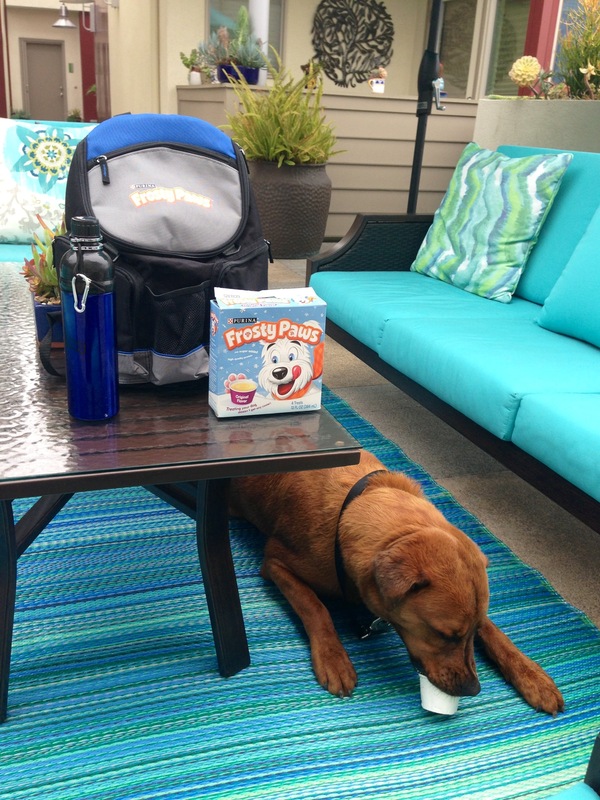 Thanks, Frosty Paws for sending us this delicious product! Previous Boneo Canine Supplements: Sore bones and answered prayers!